Proptech Innovation is a Norwegian cluster for technological innovation in the property and real estate industry. Our goal is to impact changes in how we buy, rent, sell, develop, build and manage housing and commercial real estate. Studentene Sverre Myklebust og Severin Lölkes vant innovasjonskonkurranse med ide som skal gjøre fremtidens boligkjøp mer brukervennlig. 15.mars avholdt Proptech Innovation et informasjonsmøte for bedrifter som ønsker å lære mer om klyngen, og kanskje bli medlem. 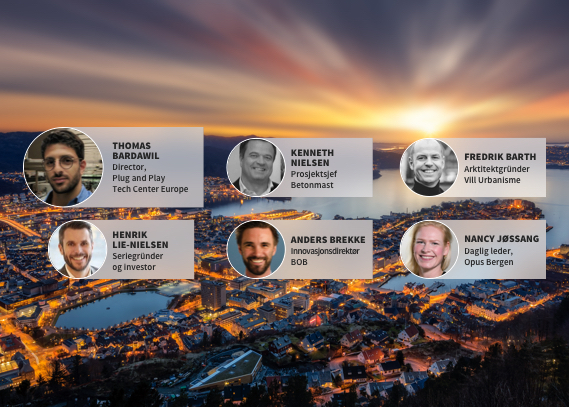 Nær 180 deltakere var tilstede på frokostmøtet som Proptech Innovation arrangerte i samarbeid med Bergen Næringsråd. On the 12th of November, Proptech Innovation had their very first meeting and workshop at Media City Bergen. 20 companies and organizations were gathered to explore the mutual benefit of collaboration within the proptech environment. 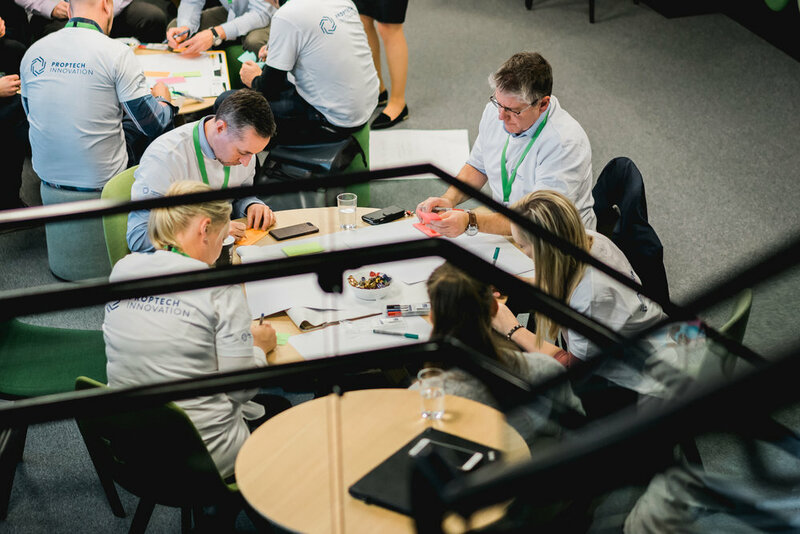 Decision makers from leading companies in the property sector, as well as representatives from academia and government, were brought together for a full-day of activities. The initiator of the proptech business cluser, BOB BBL, has invited all members of Proptech Innovation for a week-long study tour to NYC and Silicon Valley. Through company visits, workshops and networking, the group hope to achieve a comprehensive insight of the international competitive landscape, as well as to identify new opportunities within the proptech environment. Clusters, startups, sharing economy, data, IoT, smart city, smart homes, green energy and real estate is on the agena. Make innovation and collaboration your competitive advantage. Subscribe to our mailing list to receive updates on our progress.